In the early days of SEO, web directories were the thing. Back then, the Google algorithm was a lot easier to game. If your site was listed on a ton of online directories, it must be pretty dang special – or at least, that’s how the algorithm saw it. The number of directory links you had positively influenced how well your site ranked in the search engines. Online marketers caught on, and schemed to litter the web with directory listings of their website. Where Do Web Directories Stand Today? Today, Google’s algorithm is a lot more complex. While links are still one of the top ranking signals, Google no longer views all links equally. Links from a web directory listing are a lot less influential than a super relevant contextual link from a high-authority site in your niche. That’s not to say web directories are completely meaningless. According to Moz research, web directories and local citations still appear to be a small ranking factor – especially for local business. However, Google’s John Mueller himself has said that directory links “generally” don’t help with SEO. Move beyond viewing web directories as a source for links. Instead, view directories as a source of traffic and trust. Any business with a local presence needs to maintain their local citations with a consistent NAP, but web directories won’t help with your SEO much beyond that. The real returns will be from the credibility and traffic they drive to your business site. As you begin your search for web directories, keep those two criteria in mind. Is this a reputable site? Put another way: if a customer saw me on this site, would they view my business as more or less legitimate? Is my target audience likely to visit this site? If not, it’s probably not worth listing your business. Now, let’s get into what you came here for: the web directories that are still relevant in 2019. In an effort to remain relevant, many web directories of yore have transitioned beyond basic listings to detailed review sites. Many of the sites I’ve listed below reflect this trend. I could have included many more on this list, like Jasmine Directory, Aviva Directory, and Bloggapedia, but based on their current traffic numbers (and lack thereof), I’m not sure they’re worth the effort anymore. Instead, I’ve chosen to focus on only those sites that are more than a mere citation opportunity for your business. These are all web directories with real traffic numbers that could translate into real value for your website. Note: Unless otherwise noted, all traffic estimates were taken from SimilarWeb.com in December 2018. Also, with the exception of BOTW, Yahoo, and BBB, all of these web directories provide free listings. Around since 1994, Best of the Web (or BOTW for short) is still a trusted online directory used by more than 16 million businesses. It receives 70,000 – 90,000 visits per month, with 43 percent of that traffic being U.S.-based. There’s also blgs.botw.org for blogs and local.botw.org for local businesses. A lifetime listing (with a followed link) costs $299. Originally formed as a business domain directory, About Us now allows all kinds of websites to be submitted and discussed. The site receives 150,000 monthly visitors, on average. Spoke is an online community for finding and discussing business people, companies, news, and more. 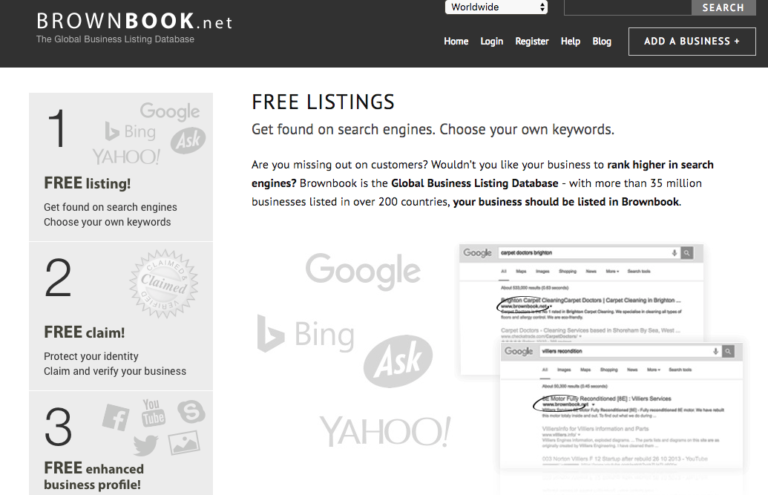 On Spoke, you can add a web listing for a business or a person. It receives over 80,000 monthly visitors. 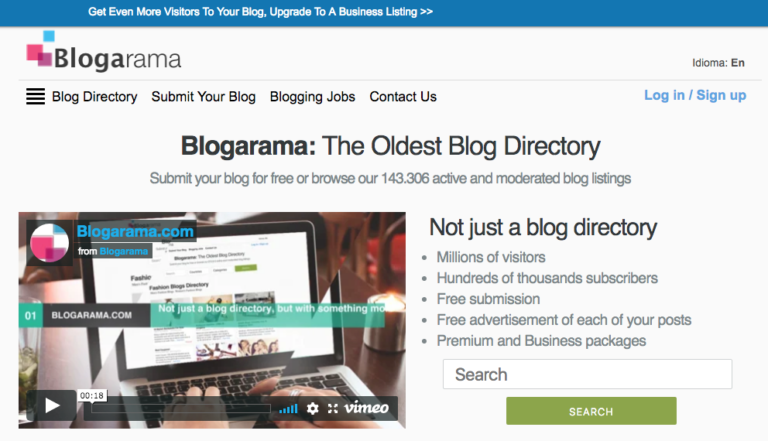 Blogarama features over 143,000 blog listings which are actively updated by site admins. Of the (very) many blog sites I added my own personal blog to, this is the only one that continues to send me consistent traffic. Plug in your RSS feed and Blogarama auto-updates your listing with your latest posts. The site receives over 230,000 visitors monthly. In some respects, Google My Business is now the granddaddy of web directories. If you’re a SEO professional, you’re already familiar with the vast benefits that make listing your business on Google My Business not just a good idea, but a basic requirement of online marketing. Google My Business continues to climb in relevance as a local search ranking factor. Plus, Google is the world’s largest search engine. 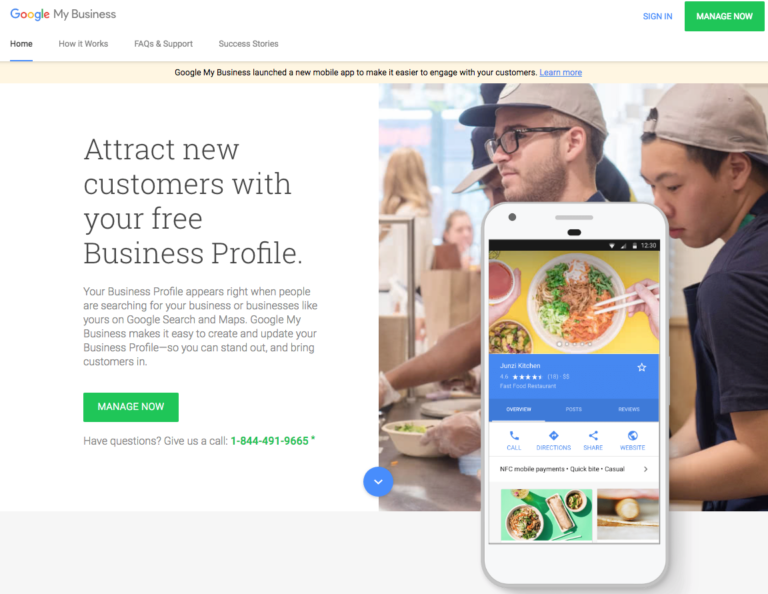 Having an optimized Google My Business listing is the best way to make sure you show up for the majority of internet users seeking what your business offers. Next up is Bing Places, the Google My Business equivalent for the world’s second most popular search engine. While less than 4 percent of the world uses Bing as their search engine, it’s important to remember that it’s the default search engine for Internet Explorer and Edge, and Microsoft still dominates the desktop computer market. 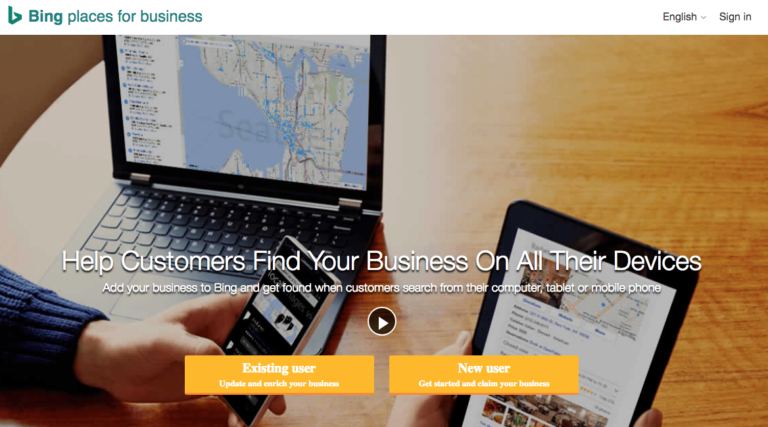 Make sure you reach those PC users by adding your business to Bing Places. You can’t talk about Being without mentioning Yahoo, the third most popular search engine. Adding your business to Yahoo Local (and six daughter directories) starts at $8.25 per month. 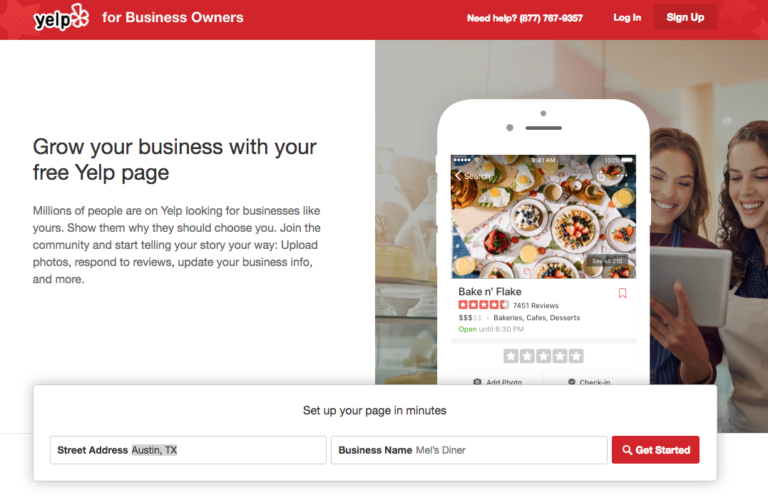 Yelp still reigns supreme as the review site for local businesses. If you want customers to find your business, you need to be on Yelp – and you need to be getting positive reviews. As of September 2018, the site claims 171 million reviews and 69 million monthly desktop users. Foursquare is nowhere near as popular as Yelp, but it does provide listings for all kinds of local businesses. 93 percent of local storefronts represent 2 million of the businesses who are already listed on Foursquare, and the site is visited by more than 50 million people. Yes, this is that Yellow Pages. If you’re wondering whatever happened to the company that used to drop off yellow tomes on your front doorstep, they went online. Claiming your business is free, although you can expect to be pestered to opt into their advertising options upon signing up. 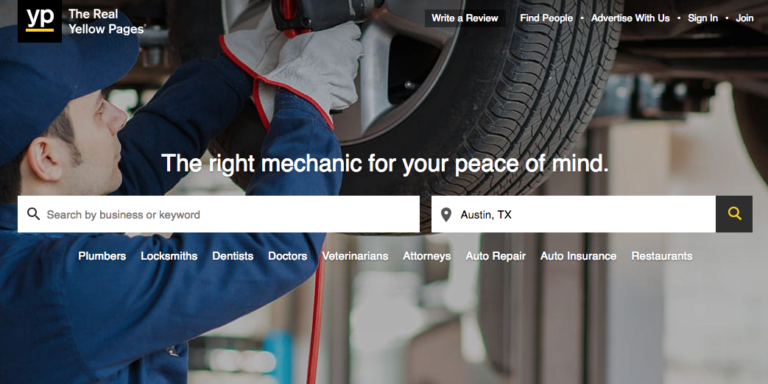 Beyond a business listing, YP stays relevant by offering coupons, providing listings for a large variety of industries, and regularly posting blog content to drive internal link equity back toward their directory pages. Plus, this site converts. When people go to YP.com, they’re looking for contact info. 60 million people visit YP.com every month, 91 percent of whom contact a business within 24 hours. 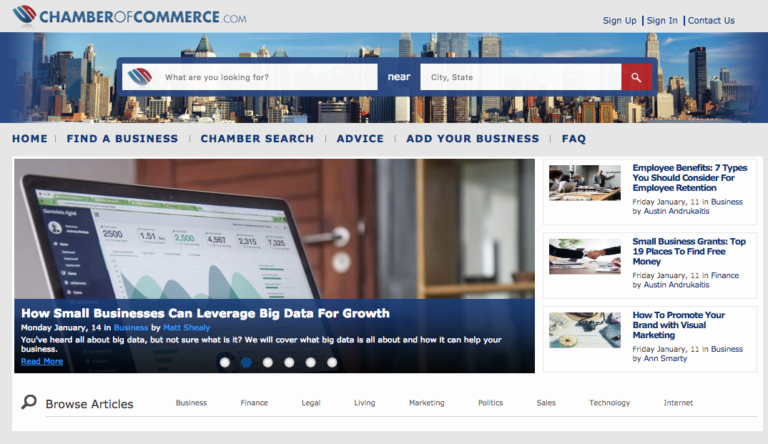 ChamberOfCommerce.com is the online version of your local Chamber of Commerce (which you should also aim to get listed in, by the way). Around since 1998, this website aims to be the most robust listing of small businesses online. It also serves a small business owner resource center, through their free listings, paid ad options, and educational articles. The site has more than 100,000 members, and monthly traffic numbers between 450,000 and 600,000. 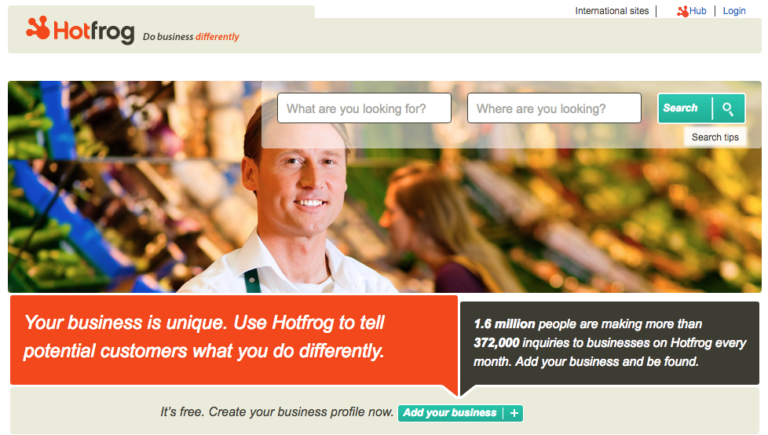 Each month, 1.6 million visitors search the 120,000 listed businesses on HotFrog. Businesses, sole practitioners, and anyone doing business with a physical address can add their listing for free. Superpages is a local business directory with more than 1.6 million monthly visitors. Businesses can add basic information, reviews, photos coupons, and, of course, a link to their website. The site includes listings for all kings of merchants and contractors, ranging from attorneys and notaries to realtors and agencies. Over 100 million consumers visited the site last year to search its listings of 2 million businesses. The site gets around 340,000 monthly visits. Having a listing on BBB and being able to reference that accreditation on your own site remains a major trust signal to today’s consumers. You’ll need to apply for accreditation, but once you’re approved, customers can visit the site to verify you’re a business they can trust. 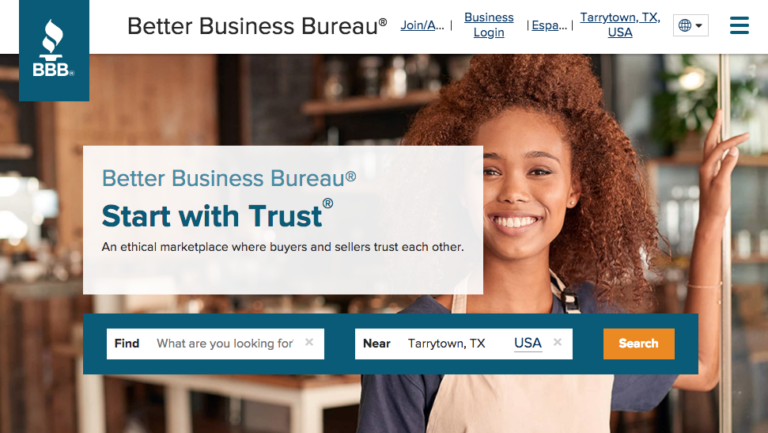 BBB is one of the top 1,000 websites in the U.S. and top 4,000 globally. It’s worth having a listing here. 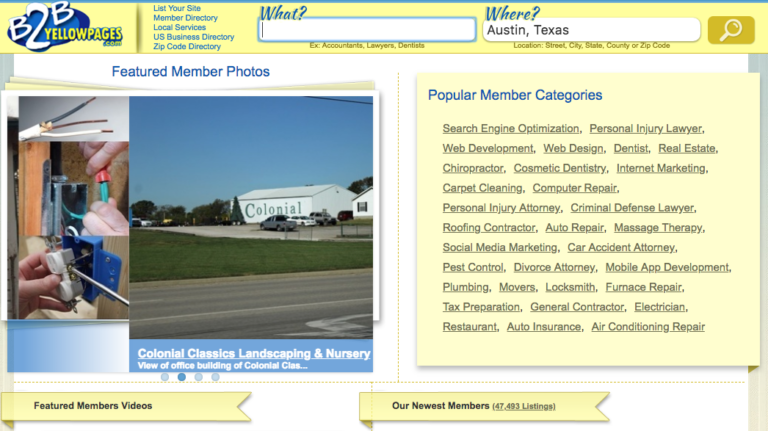 This site looks like it never left the 1990s, but it’s still a viable web directory of over 16 million businesses. The site receives around 500,000 visits per month. Brownbook claims over 38 million global business listings in 200 countries. It receives around 100,000 visits per month. 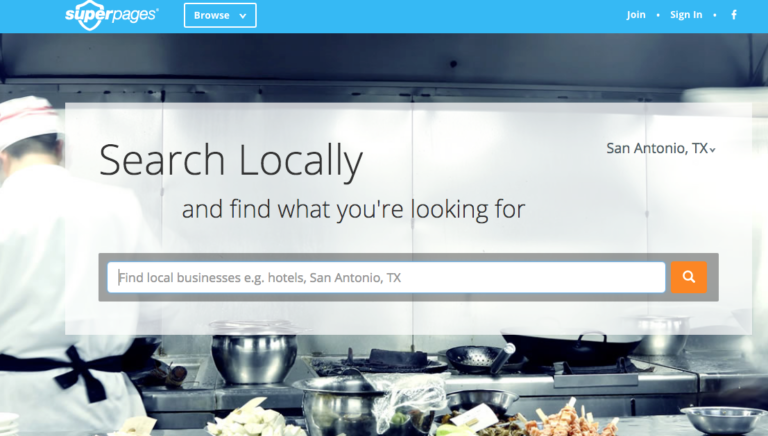 Unsurprisingly, eLocal is a local business directory. 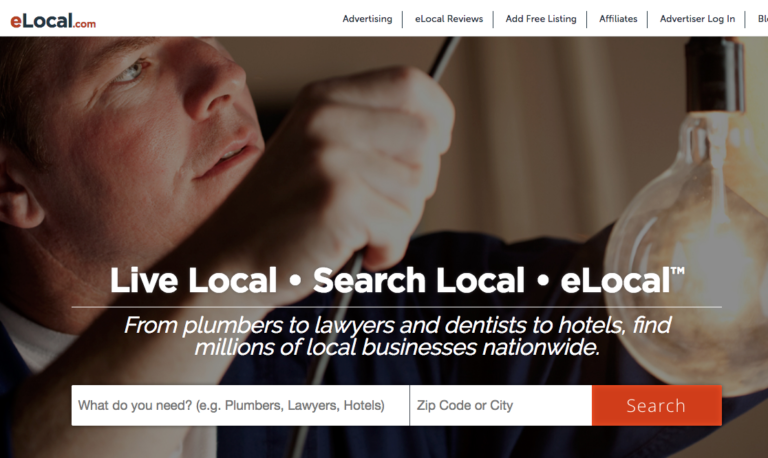 More than 50,000 monthly visitors use eLocal to find businesses, doctors, contractors, and more. DexKnows is another local business directory, used by nearly 600,000 monthly visitors looking for businesses and sole practitioners in their area. Alignable is a small business network first and a directory second. 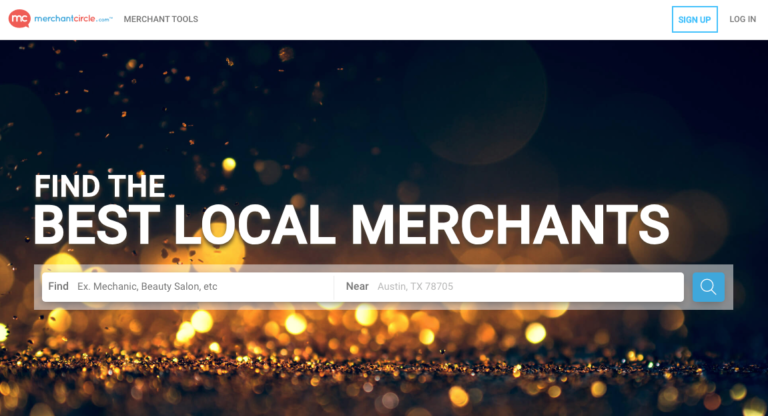 It’s designed to help local business owners connect and collaborate with each other. The site has racked up over 3 million members in under 5 years of operation, and receives nearly 3 million monthly visits. This can be a valuable site for generating new business through referrals, partnerships, and more. 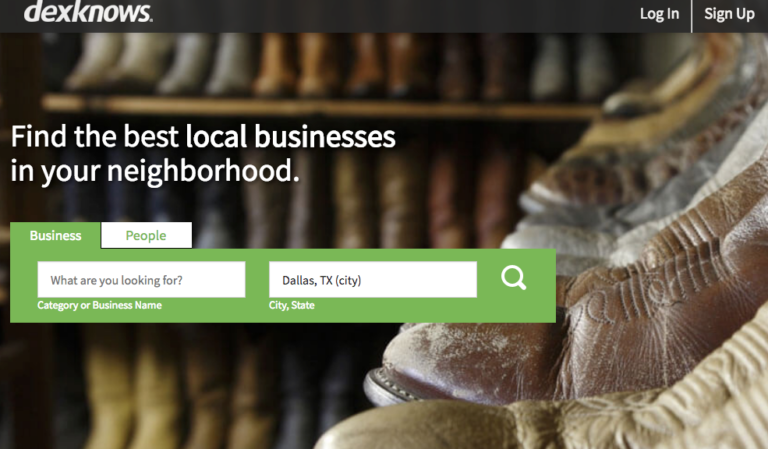 Local.com lists over 100,000 local businesses with websites and contact information. The site receives nearly 1.9 million monthly visitors. Beyond the directories listed above, there may be additional niche directories with high traffic that are pertinent to your industry, like Avvo for attorneys or Porch for home improvement professionals. You can find an excellent list of these, helpfully organized by domain authority, on BrightLocal.com. 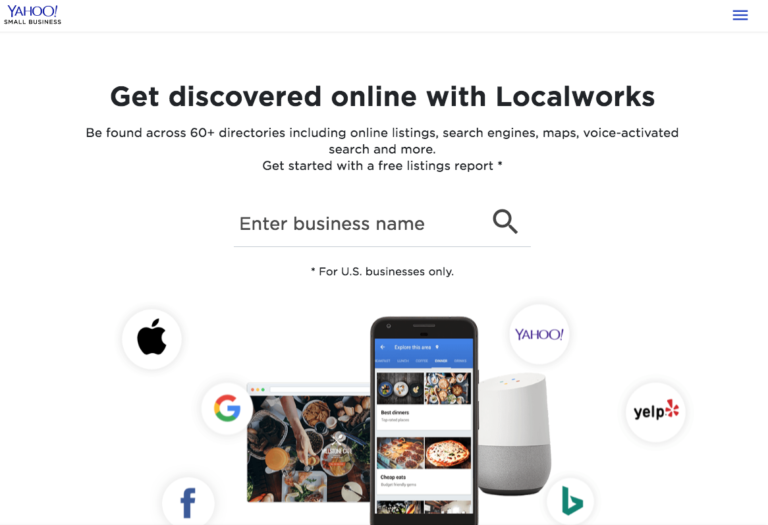 There are also services online, notably Moz Local and Yext, that will create, update, and otherwise maintain your local citations across dozens of online directories. A listing on many of these directories will simply be a citation for citation’s sake, but these services will include the big names like Yahoo, Yelp, and others on our list. Working with one of these services can significantly speed up the process of getting your website added (and take the work off your plate), which is why they aren’t free. Depending on how many websites you manage, however, they can be worth it. Ultimately, listing your website on directories in today’s age of SEO depends on two key things. Do you increase the chances of your website getting seen by more customers? Better yet, will a listing on this site deepen consumer trust in your business? If you answer yes to either of those questions (and ideally, you answer yes to both), that web directory can have value for your business. Screenshots taken by author, January 2019.